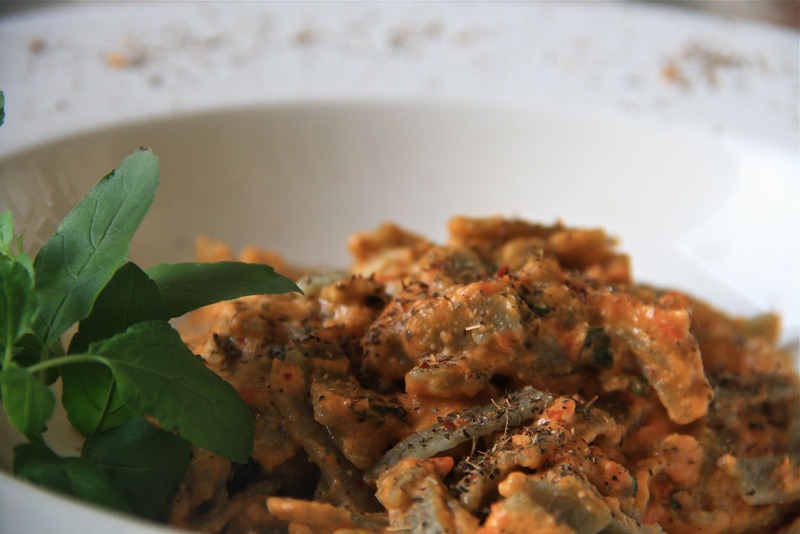 I love me a creamy Pasta in a hearty, full flavored sauce any given day. Except that I don’t love me the empty calories and thus induced soporific state of affairs. 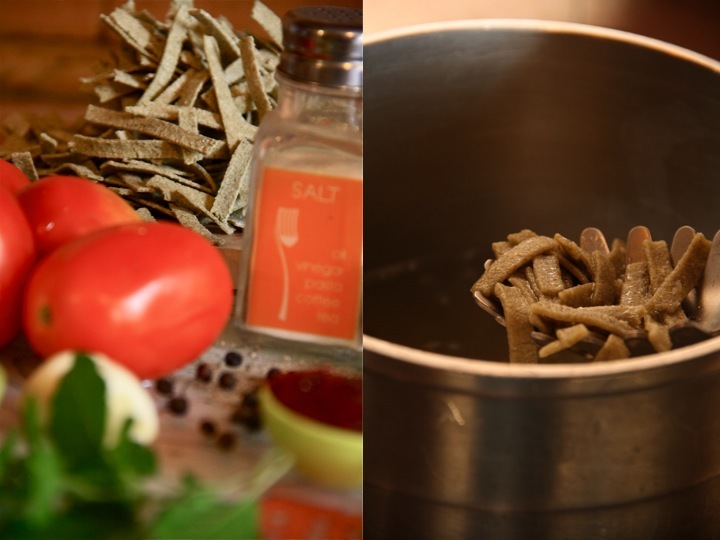 The last post reviewing the Organic, Whole wheat, Hand made Pasta by Sinful Cravings got a few requests for a recipe to accompany the review. Now, Whole wheat Pasta has a rather gritty, nutty texture (an indication of the fibre content and the accompanying health food crown) and takes a little getting used to. From what I researched and logic agrees with, is that the wholegrain texture/taste best goes with a slightly rich, full flavored sauce to balance it out. 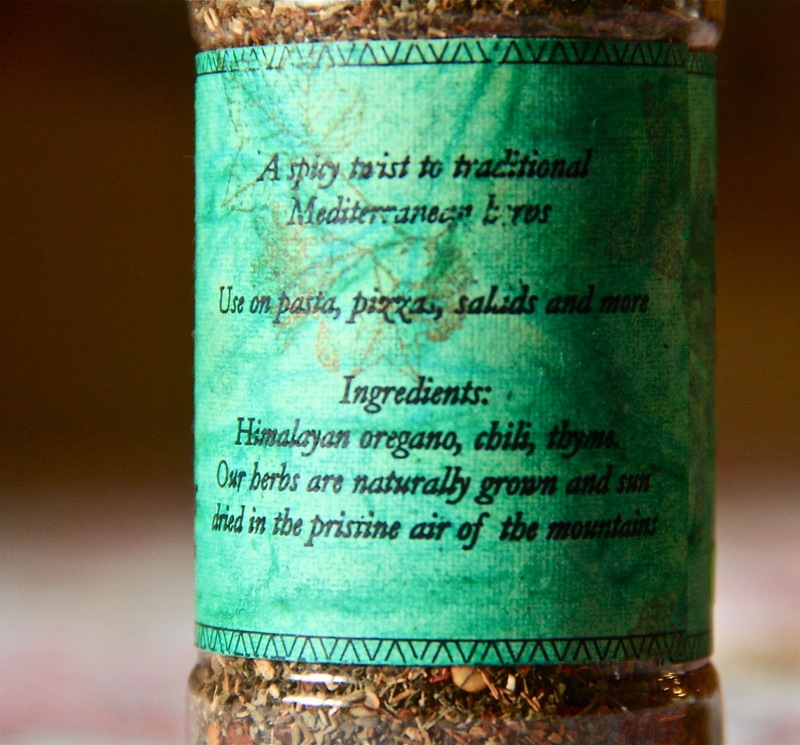 Here’s a fabulous recipe that scores on many accounts! 2. Creamy (without the cream/milk/starch!) – Check. 5. Healthy – Double Check. 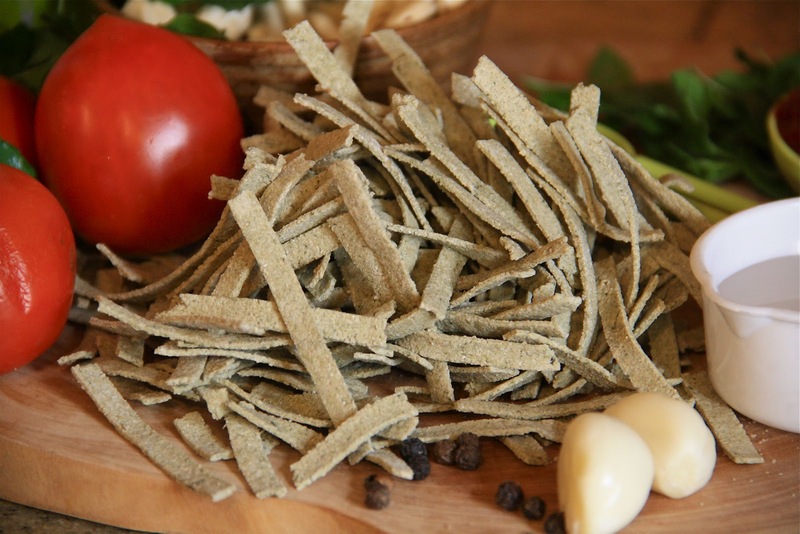 And of course the Whole Wheat Spinach Pasta! 1. Boil water for cooking the pasta. 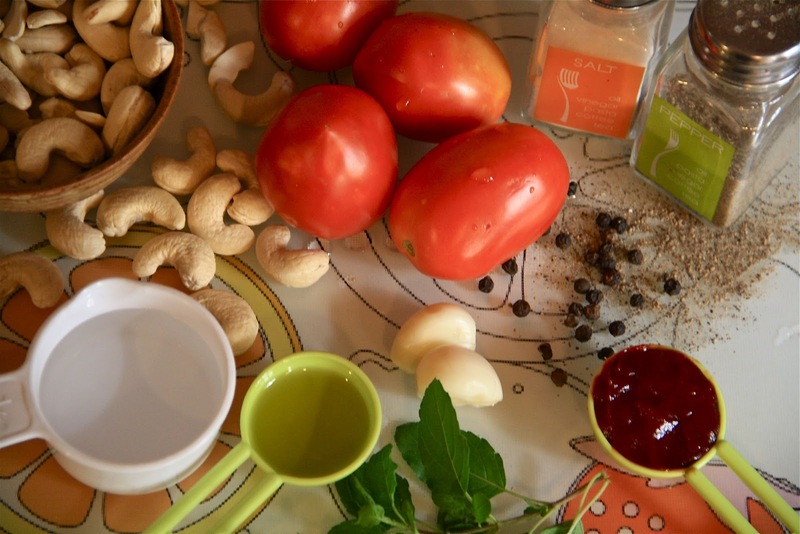 Blend together chopped Tomatoes, Cashew, Water and Tomato paste, to a smooth consistency. 2. Add the Pasta to the boiling water and cook as per package instructions. 2. In a pan , heat the olive oil and saute’ the minced garlic in it. 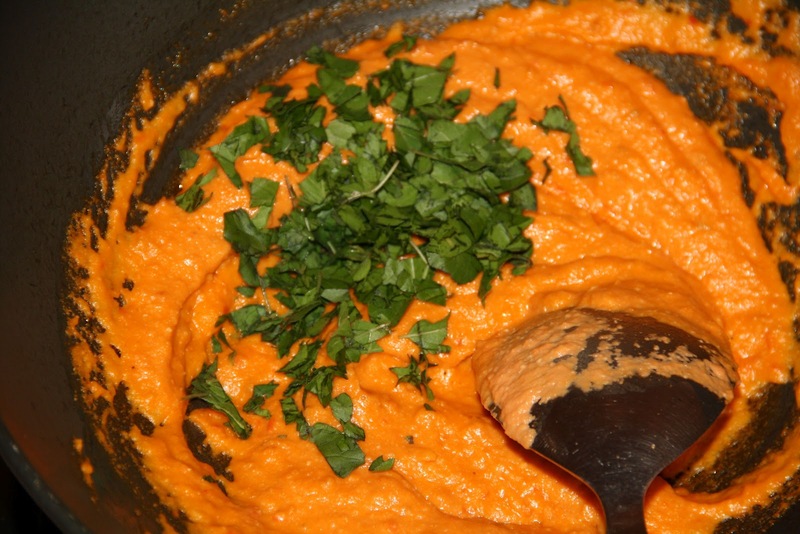 Add the tomato-cashew blended paste to it and bring to a simmer. Put in the salt and let it cook for 4-5 minutes. Add some water to bring the sauce to a desired consistency. 3. Remove sauce from heat and stir in the chopped Basil and Pepper. 4. Meanwhile, rinse and drain the cooked pasta and add it to the pan. Now pour the sauce back slowly over it, to the desired amount and stir. 5. 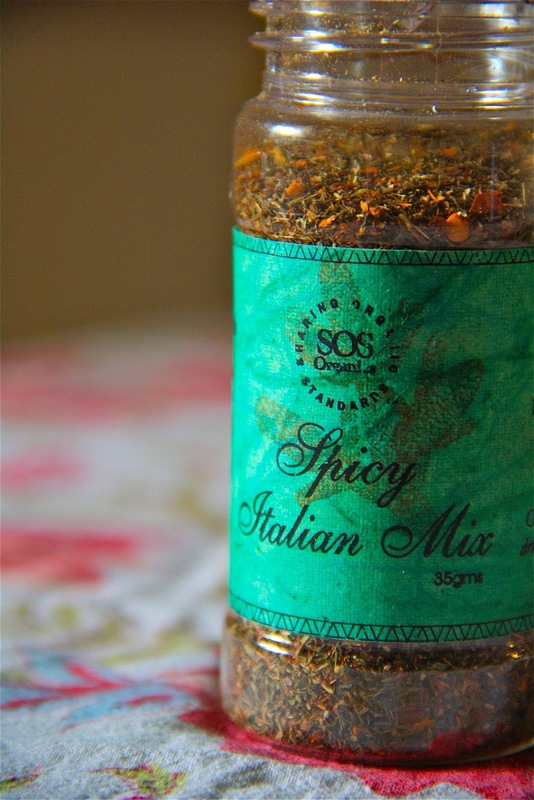 Sprinkle some Italian spice mix to add some zing! Serve immediately. Unbelievably creamy and full of flavor. 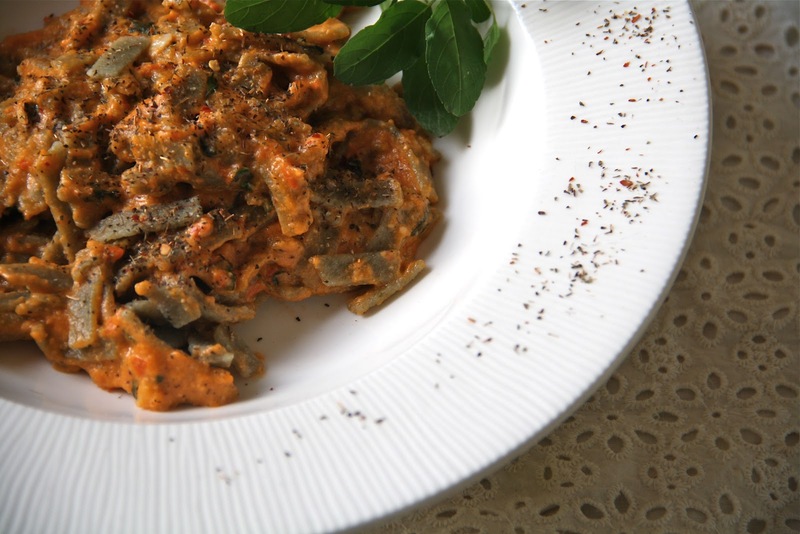 The sauce beautifully balances the gritty Whole Wheat texture! Lovely recipe and photographs ..will try it out!